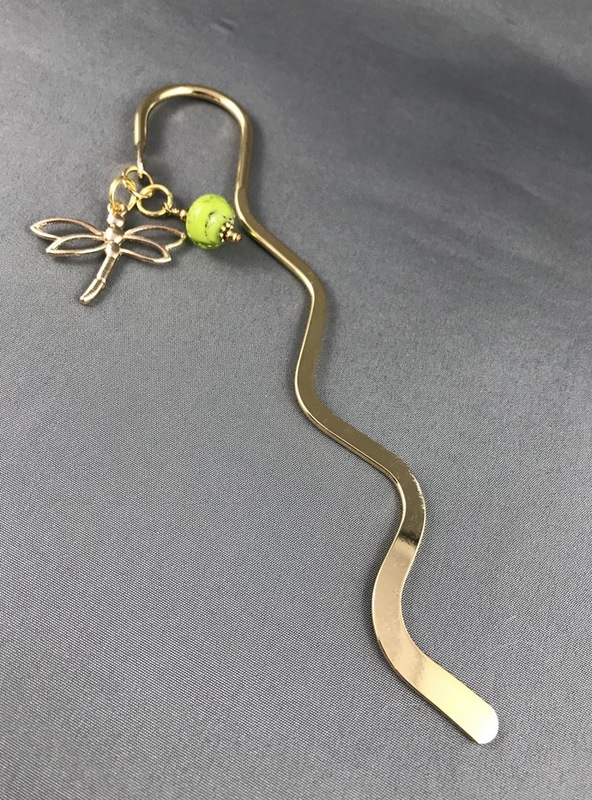 This large wavy gold bookmark has one of my handmade glass beads in green hanging from it as well as a gold toned dragonfly charm. 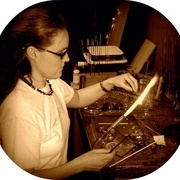 The bookmark measures 5” in length. Bookmarks make great gifts. Grandparents, children, grads, teachers, parents, friends... anyone who likes to read books.